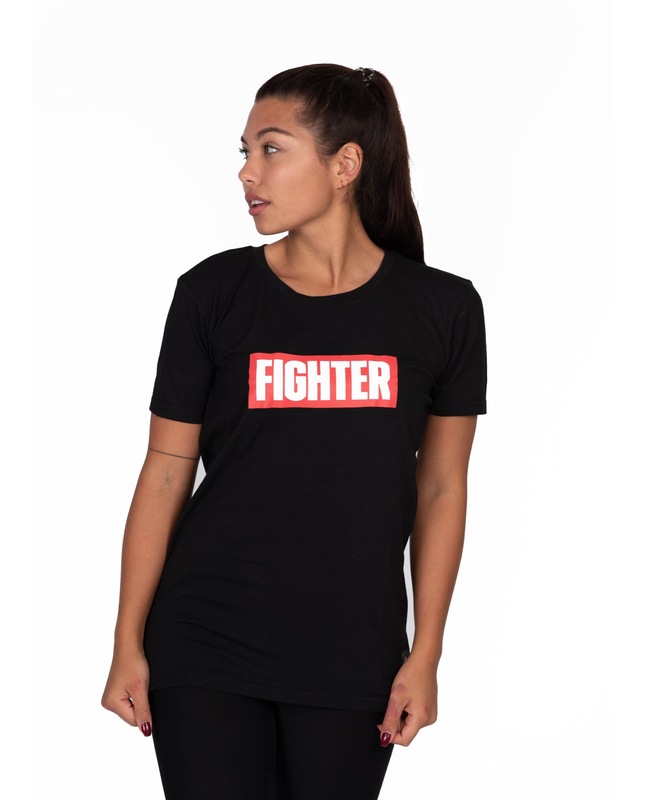 This is a brand new women’s t-shirt made from ultra soft, high quality bamboo and organic cotton. 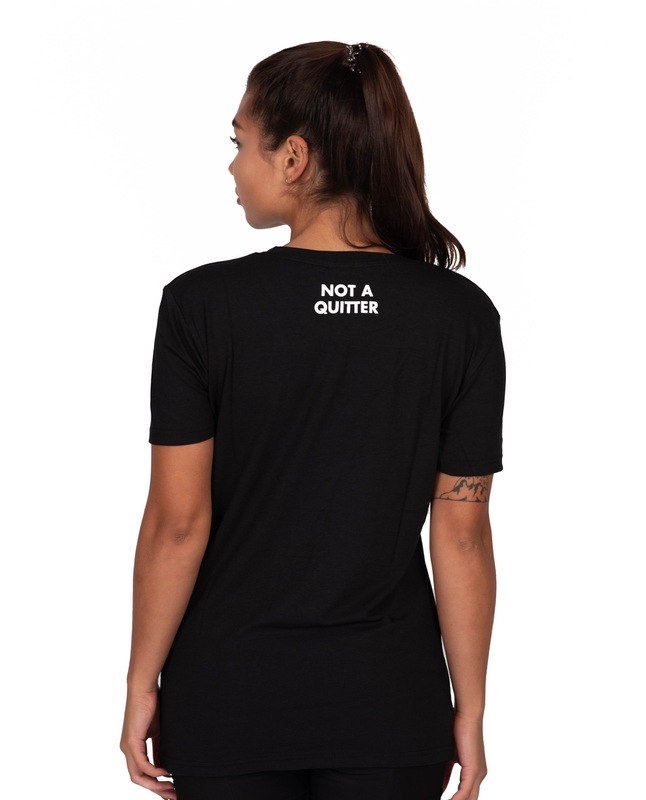 Print says “Fighter” on the front, and “Not A Quitter” on the back. Michelle is 164 cm / 5’4″ and wearing size Medium.